If you have local access to your OneDrive files, you can move files to OneDrive for Business simply by uploading them in a web browser. However, for efficiency, we recommend using the new OneDrive sync client. The table below summarizes the tasks and considerations related to moving files to OneDrive for Business. Read more about What is AutoSave? When using the new OneDrive sync client for Mac to sync files from SharePoint document libraries, you get an error message “Sorry we can't add your folder right now. Please try again”. The OneDrive sync client for Windows doesn’t have this issue. There are space characters in the entire URL address of your SharePoint site. Who is “OIT Analytics Admin” and why do they have permissions to my document/folder? When sharing files in OneDrive for Business, you may see a user named "OIT Analytics Admin" listed in the Shared with section. Read more about Who is “OIT Analytics Admin” and why do they have permissions to my document/folder? How do I sync OneDrive for Business with my computer? OneDrive for Business works well with all major, current web browsers. Just point your browser to https://docs.office365.gatech.edu​ to get started. OneDrive for Business also comes with the ability to sync your files and folders to your desktop or mobile device. Read more about How do I sync OneDrive for Business with my computer? How do I get started using Office Web Apps - Word, Excel, PowerPoint, OneNote? ​Office Web Apps are touch-friendly web applications that let you create, edit and share your Excel, Word, PowerPoint and OneNote files from any browser. 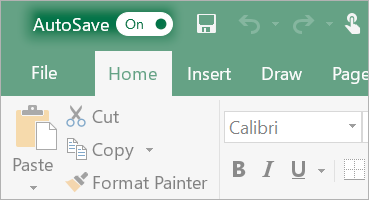 Read more about How do I get started using Office Web Apps - Word, Excel, PowerPoint, OneNote? How do I turn on the Version History feature in OneDrive for Business? For some users, the Version History feature may be turned off initially. To turn it on, go to OneDrive for Business, click on Library in the top left, go to Library Settings on the right. Click on Versioning Settings under General Settings, and enable Versioning here. Read more about How do I turn on the Version History feature in OneDrive for Business?